As a result of feedback received at the recent Pizza with the President event, increased shuttle services will be available during finals week, April 26 through May 2, to make life a little easier for students. 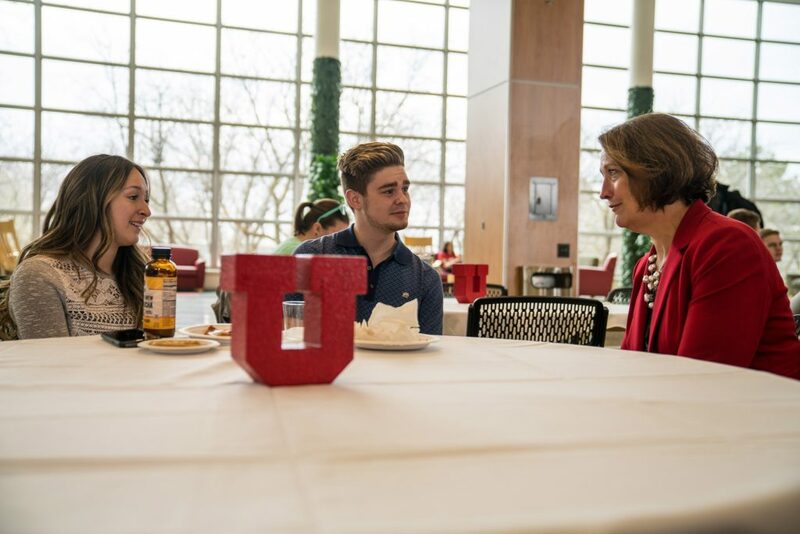 Student Ashley Flores speaking with President Ruth V. Watkins at Pizza with the President on April 10, 2018. More than 800 students attended the event with President Watkins on April 10, which was hosted by the Union Programming Council. After connecting with students about their experiences and ideas, it was clear that improved transportation from parking lots to classroom buildings would help students during this stressful time. “I think this is a great idea, especially for those students who don’t live on campus, who have to park their cars and then catch TRAX when it’s full. This will be really helpful during finals week,” said Ashley Flores who attend the event and spoke to Watkins. 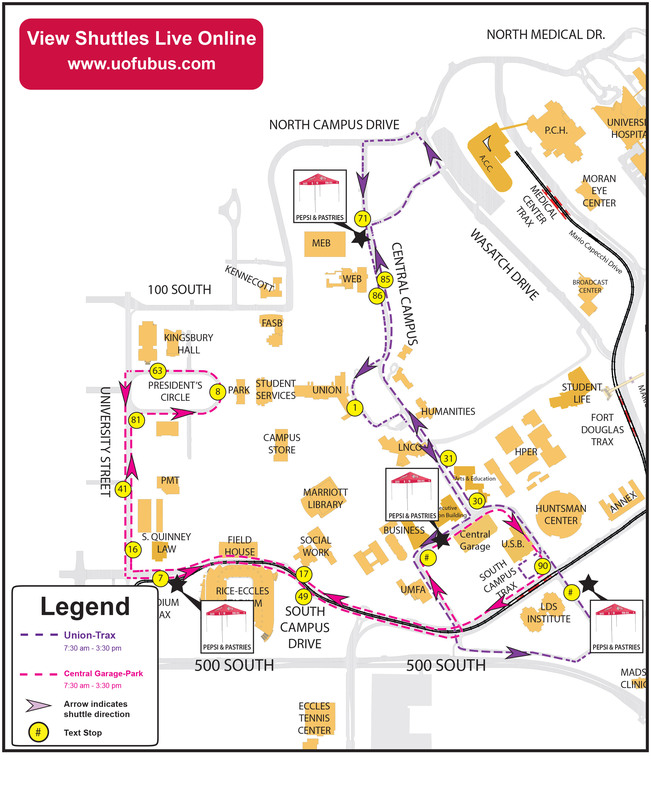 According to Commuter Services, two buses will run between Merrill Engineering and the LDS Institute Garage on Central Campus Drive. And, one extra bus will supplement the Red and Blue routes from the Stadium lot providing direct access to the center of campus. Parking is available on a first-come, first-served basis. No other lot accommodations will be available and permits will be required.